Have a vacancy coming up? 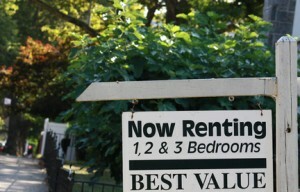 With vacancy rates low, chances are you will receive a ton of phone calls, emails and texts from interested applicants. So many questions, in fact, it may be hard to keep track. Don’t be fooled by the level of interest in the property. Just because you have an avalanche of applicants doesn’t mean those applicants are qualified to be your tenants. Volume only makes your job more difficult. One important strategy when finding new tenants is to not rush to judgement. Focus on vetting each applicant as they come to you. Slow down, take some time, and reap the reward: a successful, profitable tenancy. Otherwise, you easily can wind up with the polished tenant from hell, and all the income loss that comes with it. By prequalifying your rental applicants, you greatly reduce the likelihood a bad tenant will slip through the cracks. You also will save a lot of unnecessary time on the phone, in the car racing to showing appointments, and at the rental property. 1. Be specific in your rental ad so that you will cut down the number of unnecessary contacts. One good tenant is worth more than one hundred unqualified tenants. Let applicants know the general location, size and price of the unit so they can decide if it’s worth pursuing. 2. Advertise that you will require a tenant background check. This step alone will eliminate many problem renters who won’t want to waste their time. 3. Ask applicants if they have a source of income that is sufficient to cover the rent. Be careful not to require employment. Any legal source of income will suffice. But some tenants have not thought it through, or they are sifting through so many ads that they don’t realize what you are charging. 4. Go over some of your more material requirements, like no-smoking, no-pets, one-car per unit or any other issues that are deal-breakers if the applicant can’t comply. 5. Find out when the person is planning to move. There are few things more frustrating than taking a trip out to the rental unit, or spending an hour answering questions about amenities, only to find out that the tenant is just “looking around” and won’t be available for two or three months. What’s worse is the applicant who asks you to hold the vacancy open until they are ready. 6. Discuss why the applicant is moving. You’ll want to know if the person is breaking a lease or angry with the current landlord. A tenant involved in an eviction often will look for a new place to live before the court order. 7. Find out about proposed occupants. How many adults? It is important to qualify all adult tenants, which will require meeting each one. That means scheduling a tour when everyone is available. Allow roommates to get their ducks in a row before you take the time to show the property. 8. Record the contact information, and take notes of the initial conversation so you can compare that info to the applicant’s photo ID and completed rental application. Over time, this process of prequalifying applicants will become second nature, and you will find that it not only saves time, but saves money otherwise wasted on bad tenants. Great article, i would like to add what i do to help stave off bad tenants and time wasters. I created a professional website with my staged apartments for viewing. When i place a local add i use the website for my potential tenants to have a look at the apartment first to see if its what they are looking for. If it is, then then download a TVS Tenant application form direct from my website (still under construction but pics are there). Once i have a tenant verified through TVS i have an interview offsite with them and check all the perticulers. This allows me to meet them and verify certain aspects of their application and the type of person i am renting too (Also allows me to see if they actually smoke or not – just because they say they don’t on an application doesn’t mean they are telling the truth). Once I have done all my reference checks and am confident they would make a suitable tenant, they can view the unit in person. My process does a number of things for me, my current tenants and my future tenants. I love being a landlord because of how i run my business! Good article. I only have one suite, but other things I always put in my ads is that I require photo id, that I will call references and that I will do a credit check. I feel these things help self select. Yes the credit check costs money and I have paid to do 2 or 3 during a rental search, but the $20 per is cheap compared to the cost of an eviction process.